Total: 400 members - 30% power, 70% sail. Facilities: Bar open Wed.-Fri. evenings, Sat.- Sun all day. Dining room open for Wed. & Fri. dinner, Sat. breakfast and dinner, and Sun. breakfast. 147 member berths. Dry storage for members. Hoist. Guest docks available to Visitors from other clubs in accordance with reciprocal agreements. Membership: Looking for new members - Half Price Memebership Drive Underway! 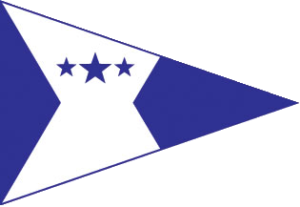 Regular Initiation Fees: $5000 / Flag, $2500 / Junior Flag $1250 /Associate (non-boat owners). Monthly dues: Flag $80.00, Junior Flag $40.00, Associate $40.00. Comments: Best view in San Diego!